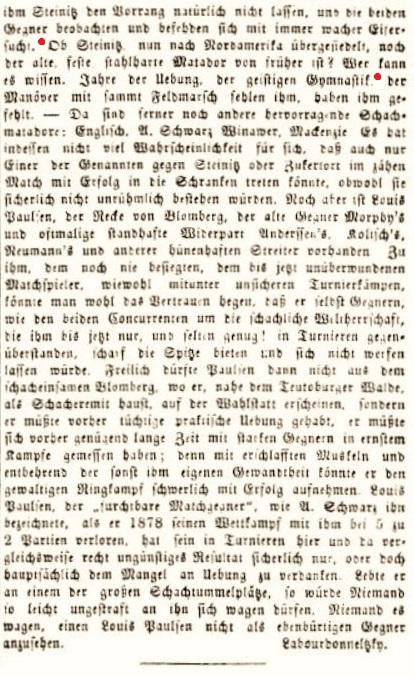 Alan McGowan (Waterloo, Canada) draws attention to his feature on Dr James Cunningham Fraser (1825-76) at the Chess Scotland website. 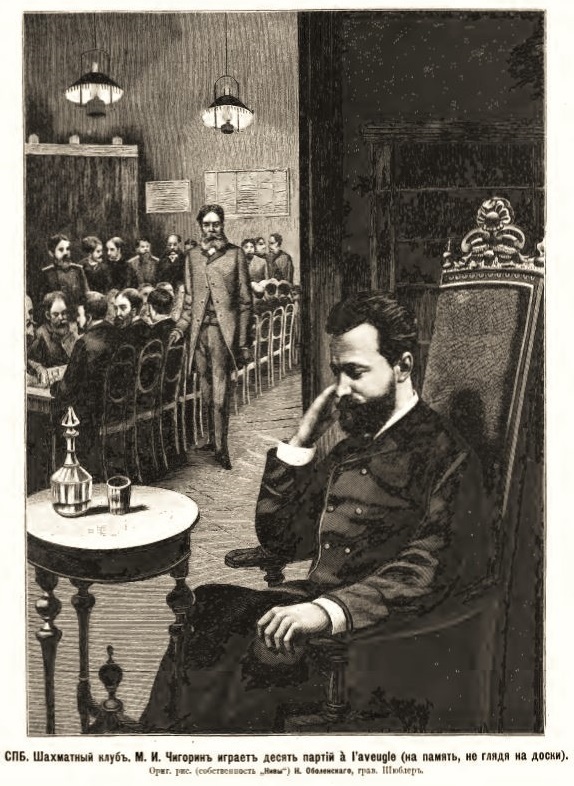 The establishment in Paris, mentioned in C.N. 10114, was the Café de la Rotonde au Palais-Royal. How did this position arise? It comes from a game between C.J.S. Purdy and F.A. 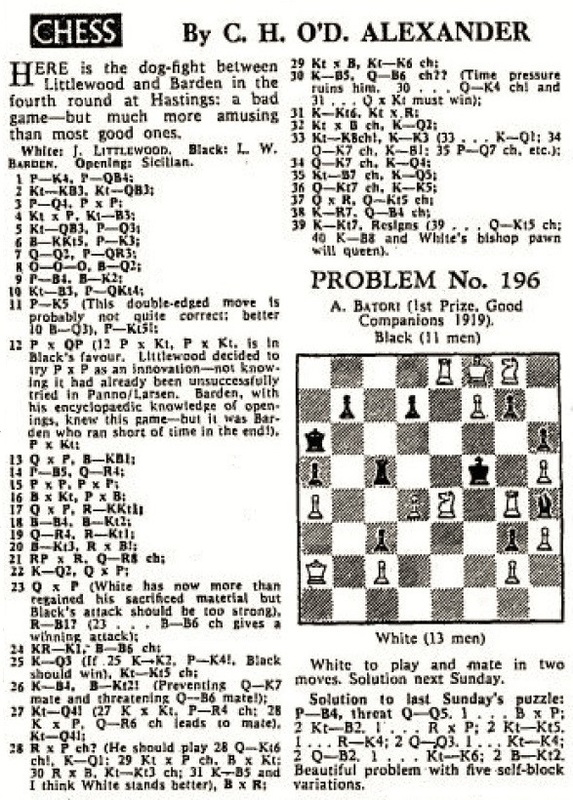 Crowl (Melbourne, 29 December 1934 – see page 9 of the Sydney Daily Telegraph of 31 December 1934) which Purdy annotated on pages 317-318 of the November 1936 issue of the Australasian Chess Review under the heading ‘Humour in the Opening’. 1 c4 Nf6 2 d4 e5 3 dxe5 Ng4 4 Bf4 g5 5 Bd2! Nxe5 6 e4 Bg7 7 Nc3 d6 8 Qh5!? h6 9 Be2??? Nbd7 10 Bf1!! Nb6 11 Qd1!!! Be6 12 b3 Qd7 13 Be2! O-O-O 14 Nf3 Ng6 15 Qc2 g4 16 Ng1!! f5 17 exf5 Bxf5 18 Bd3 Rde8+ 19 Nge2 Rhf8 20 Bxf5 Rxf5 21 O-O-O Nh4 22 Nf4 Qf7 23 g3 Nf3 24 Be3 Qf6 25 Nb1! Kb8!? 26 h3 Qa1!? 27 Nd5 Nxd5 28 cxd5 Rf7 29 hxg4 Rfe7 30 Rd3 Ne5 31 Rd4 Nc6 32 Ra4 Nd4 33 Qd2 Nb5 34 Kc2 Nc3 35 Nxc3 Qxh1 36 Bxa7+ Kc8 37 Be3 Kd7? 38 Qd3 Rb8 39 g5 Bxc3 40 Kxc3 Qa1+ 41 Kc2 b5 42 Ra7 h5 43 Qf5+? Kd8 44 Qf8+ Re8 45 Qf7 Re7 46 Qxh5 Qe5 47 Qf3 Ke8 48 Qf6 Qe4+ 49 Kb2 Kd7 50 Qd4 Qxd4+ 51 Bxd4 Re2+ 52 Kc3 Rg8 53 Be3 Rg6 54 Kb4 Rxe3 55 fxe3 Rxg5 56 Kxb5 Rxd5+ 57 Kc4 Rg5 58 e4 Kc6 59 b4 Rxg3 60 a4 Kb6 61 Ra8 Kb7 62 Re8 Rg1 63 Re7 Rc1+ 64 Kb5 Ka7 65 e5 dxe5 66 Rxe5 Kb7 67 Re7 Ka7 68 a5 Kb8 69 Re5 Rd1 70 Re6 Rd8? 71 Kc6 Rh8 72 b5 Rg8 73 a6 Rd8? 74 a7+ Kxa7 75 Kxc7 Resigns. Page 314 of This Crazy World of Chess by Larry Evans (Las Vegas, 2009). Page 26 of Battle of Bonn by Raymond Keene and Eric Schiller (2008). 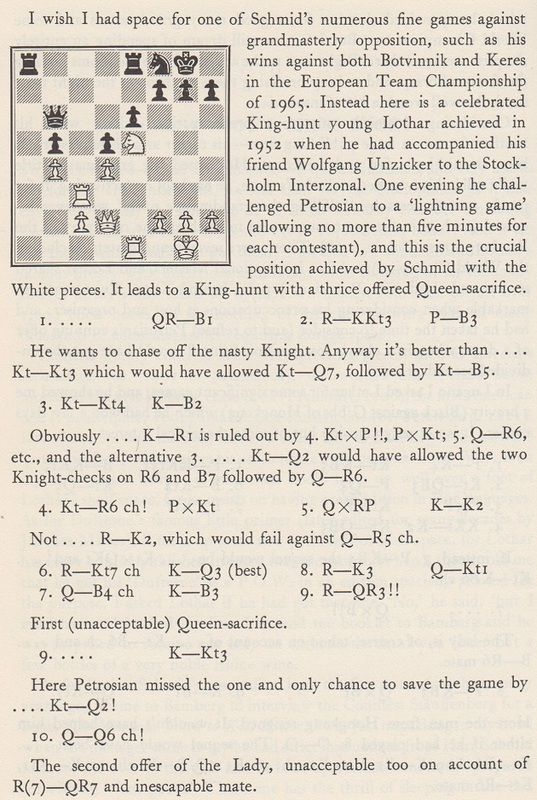 Page 123 of Carlsen-Anand Match for the World Chess Championship by Raymond Keene (New York, 2013). Page 29 of Carlsen v Caruana: FIDE World Chess Championship, London 2018 by Raymond Keene and Byron Jacobs (London, 2018). 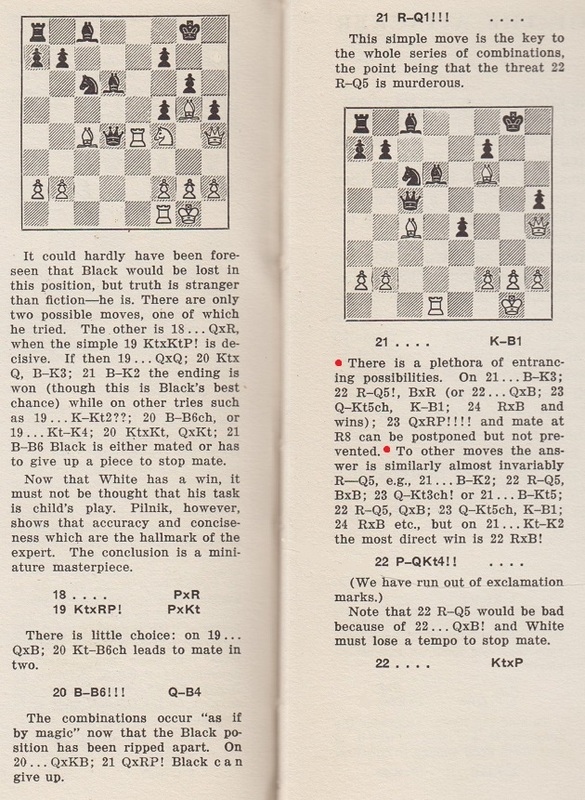 Page 8 of A Guide Book Of Places To Go and People You Will See Around NY Chess by Peter Julius Sloan (2012). 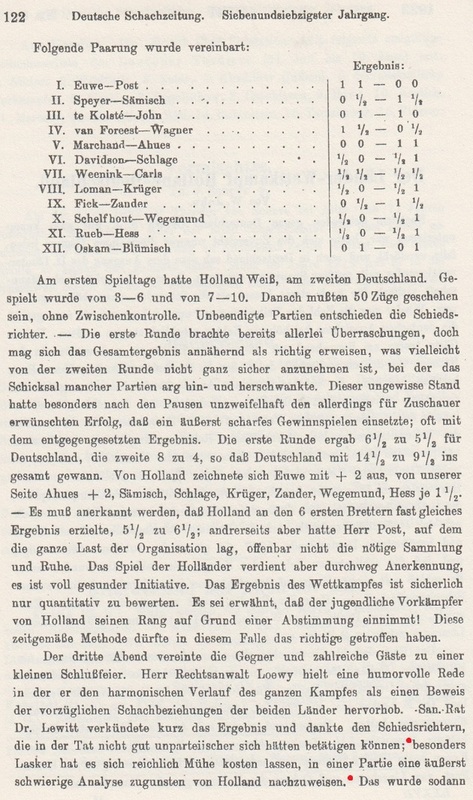 Page 192 of The Big Book of World Chess Championships by Andre Schulz (Alkmaar, 2016). 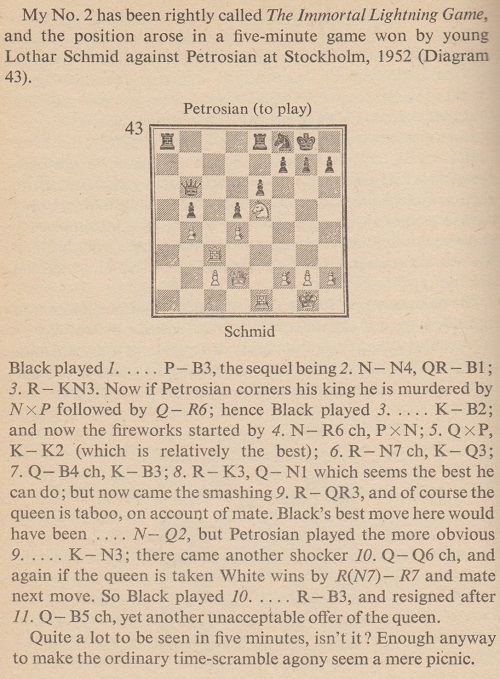 Page 113 of The Psychology of Chess by Fernand Gobet (Abingdon, 2019). How often has anyone bothered making such a point about, for instance, Staunton or Steinitz? Below is a remark by G.H. 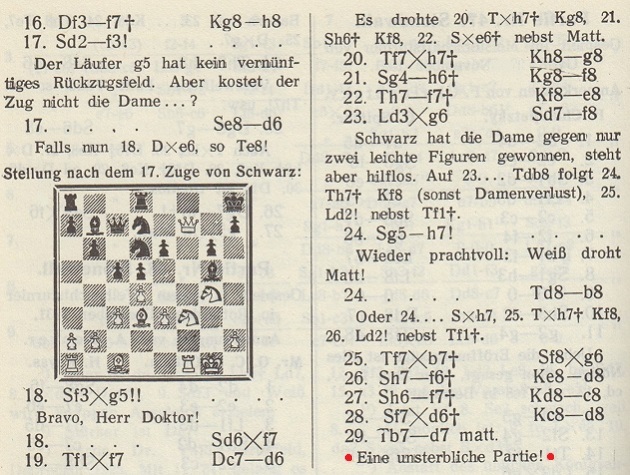 Diggle from an article in the December 1981 Newsflash which was reproduced on page 78 of Chess Characters (Geneva, 1984). See too C.N. 7805. 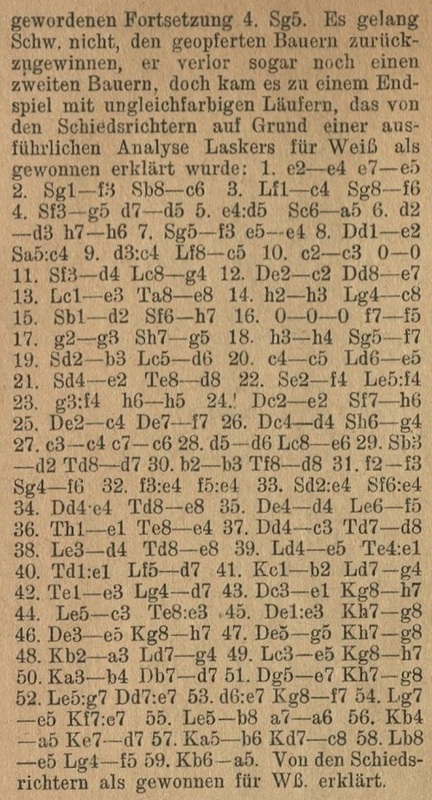 The above snippet, concerning a case not yet included in Chess in the Courts, comes from page 296 of the October 1961 BCM, in a section edited by Harry Golombek. There were briefer reports in the New York Times of 14 August 1961, page 20 and 16 August 1961, page 25. 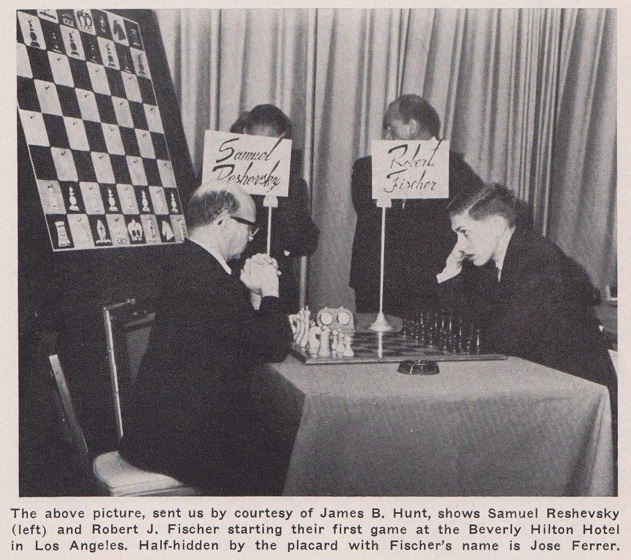 The above photograph of Reshevsky, Fischer and Ferrer in the 15 August 1961 edition is similar to the one in Chess and Hollywood. C.N. 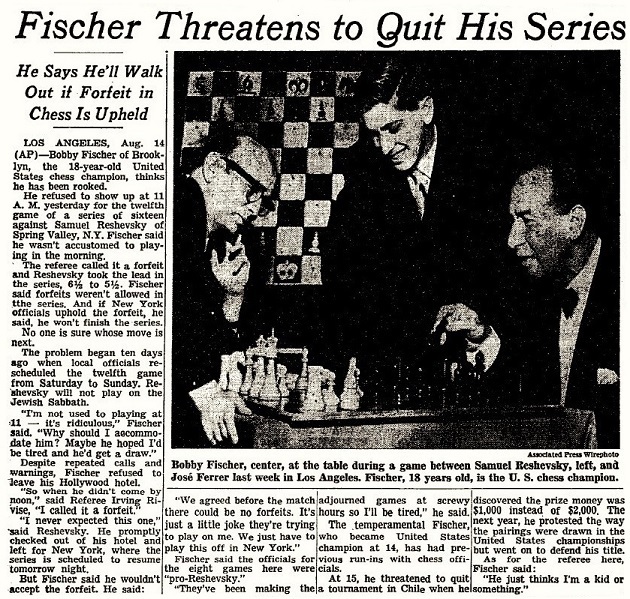 8923 referred to coverage of the affair in Chess Life; an article entitled ‘The Fischer-Reshevsky Snafu’ on page 321 of Chess Review, November 1961 provides a notable summary. On page 137 of Endgame (New York, 2011) Frank Brady wrote that ‘the case lingered in the courts for years and was finally dropped’. Does a detailed account of the full procedure exist? 1 e4 e5 2 f4 exf4 3 Nf3 g5 4 Bc4 g4 5 O-O gxf3 6 Qxf3 Qf6 7 e5 Qxe5 8 d3 Bh6 9 Nc3 Nc6 10 Bd2 Nge7 11 Rae1 Qc5+ 12 Kh1 d6 13 Nd5 Be6 14 Rxe6 fxe6 15 Qh5+ Ng6 16 Nf6+ Kf7 17 Qxh6 Kxf6 18 Rxf4+ Ke7 19 Qg7+ Kd8 20 Bxe6 Nce7 21 Qxh8+ Nxh8 22 Rf8 mate. 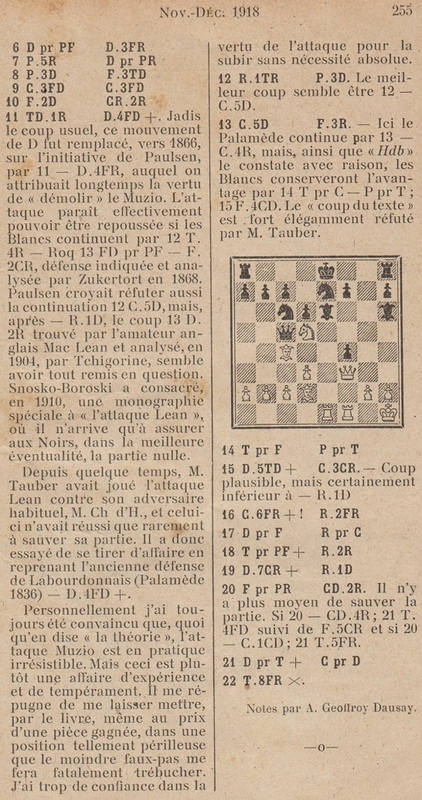 As mentioned in Chess and Jews, A. Geoffroy Dausay was a pseudonym of Alphonse Goetz. 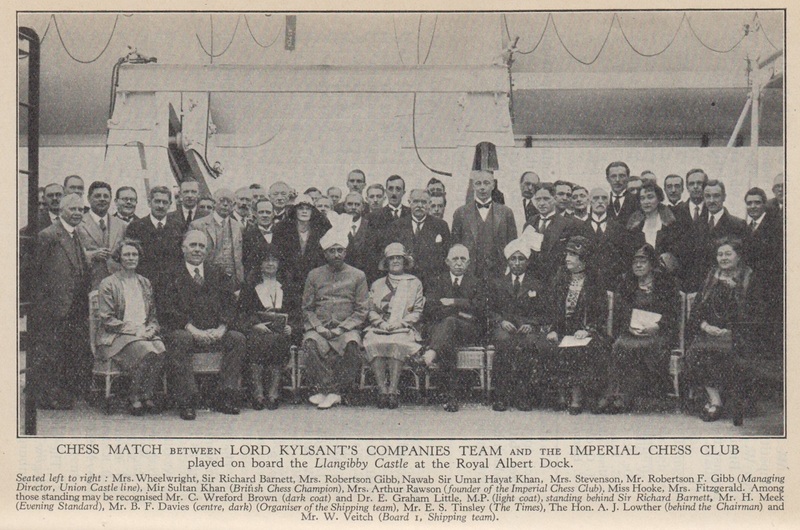 The picture has been mentioned (‘group photograph of team match, 1930’) in Sultan Khan. on which the mental portion of their organization may take full swing. ‘I cannot provide independent corroboration of the text which Landsberger states was in the Pittsburg Dispatch. 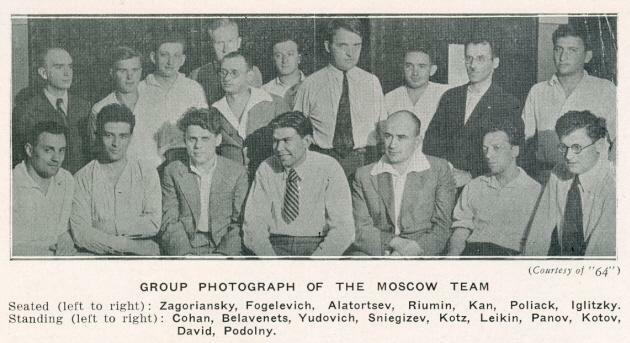 The only games of his that I have traced are from the Leningrad Semi-Final of the 11th USSR Championship, 1939, where he tied for last place with Solomon Gotthilf with 5½ points from 17 games. There is confusion over his forename. The crosstable and game-file at the RusBase website do not agree, giving G. David and Michael David respectively. This has sown further confusion in the ChessBase database because there is a Michael David of Israel. 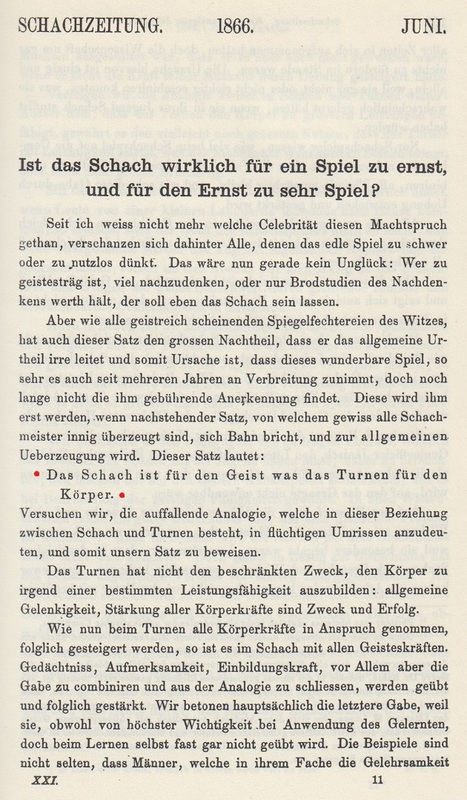 The text appears towards the end of the Second Book; page numbers vary in other editions. 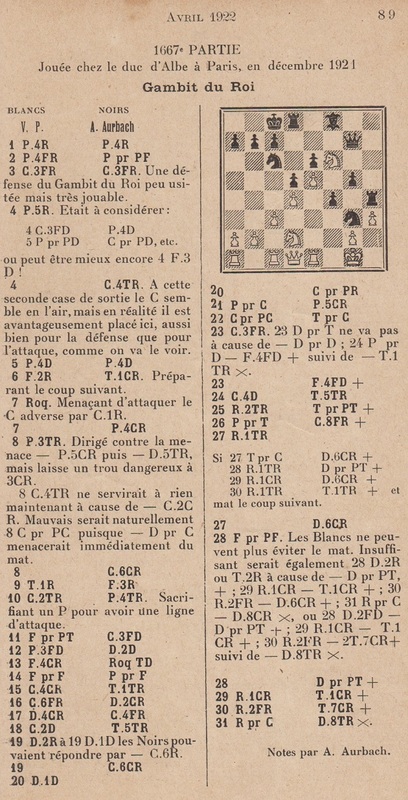 Jean-Pierre Rhéaume (Montreal, Canada) points out that the game in question which began 1 f4 e5 2 fxe5 d6 3 exd6 Bxd6 4 Nf3 g5 occurred in the second Lasker v Bird match, i.e. in 1892 and not 1890. 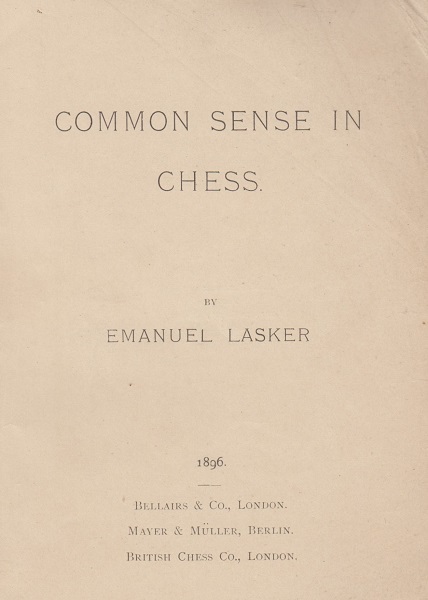 Notwithstanding what appears in some publications and databases, the game continued until move 63, as reported in many contemporary sources, such as page 5 of The Scotsman, 31 August 1892 and page 12 of Lasker’s London Chess Fortnightly, 1 September 1892. 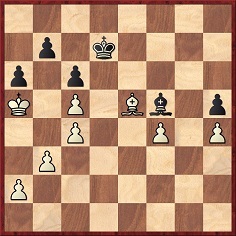 The concluding moves (after 42...Bxh1) have not been found. The misspelling ‘Fromm’ is common, but the player’s name is not in doubt: Martin From (1828-95). 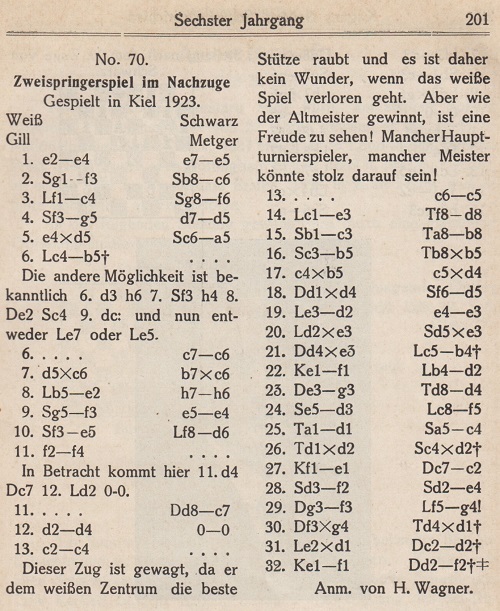 ‘From’s Gambit’ by C. von Bardeleben, Deutsche Schachzeitung, July 1919, pages 132-137. This position was analyzed by Emanuel Lasker. Can White win? ‘It is unfortunate, but true, that a sizable proportion of amateurs find modern master chess dull. “Ah, the good old days!” This is based on what is for the most part an imaginary kind of chess which is supposed to have been peculiar to any age but our own. If the good old chess was really so interesting, we should expect it to have flourished in the first International Tournament, held at London in 1851. 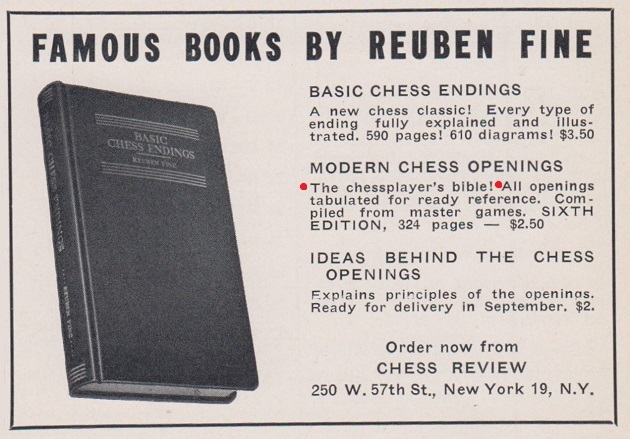 If we turn to the Book of the Tournament, however, we discover that it is an epochal collection of the most dreary, tedious, witless, planless, slovenly and inept chess that has ever been assembled between the covers of a book. Of the 85 games in the main event, not more than five could be described as brilliant by the most charitable man in the world; and he would be hard put to it to find ten games that were worth looking at. 20 Ng5 Nf8 21 Nxf7 Re8 22 Qg4 Re6 23 Bf5 Rae8 24 Bxe6 Rxe6 25 Nd6 Bxd6 26 exd6 Qd7 27 Ba3 Nh7 28 h3 dxc4 29 Qxc4 Nf6 30 Rxf6 gxf6 31 Re1 Bc8 32 Rc1 Bb7 33 Qg4+ Kh8 34 Rc7 Re1+ 35 Kh2 Qxg4 36 hxg4 Resigns. This well-known remark is listed in The Chess Wit and Wisdom of W.E. Napier. The game continued 20...Nxe4 21 Qc1 Nef6 22 Bxf5, and Black resigned at move 27. 1 e4 c6 2 Nc3 d6 3 d4 Nf6 4 Bf4 Qb6 5 Qd2 Nbd7 6 Nf3 e6 7 Bd3 Be7 8 O-O O-O 9 a4 Qc7 10 e5 Nd5 11 Nxd5 cxd5 12 Rae1 Re8 13 Re3 Nf8 14 Rfe1 Bd7 15 a5 a6 16 exd6 Bxd6 17 Bxd6 Qxd6 18 Ne5 Bb5 19 Bxb5 axb5 20 b4 b6 21 axb6 Qxb6 22 Rc3 f6 23 Ng4 Rac8 24 Rg3 Kf7 25 Nh6+ gxh6 26 Qxh6 Ke7 27 Rg7+ Kd6 28 Qf4+ Kc6 29 Re3 Qb8 30 Ra3 Kb6 31 Qd6+ Rc6 32 Qc5+ Resigns. The full score of this allegedly ‘celebrated’ game is in databases, but which is the earliest, or best, primary source? 19... e3 20 Bxe3 Nxe3 21 Qxe3 Bb4+ 22 Kf1 Bd2 23 Qg3 Rd4 24 Nd3 Bf5 25 Rd1 Nc4 26 Rxd2 Nxd2+ 27 Ke1 Qc2 28 Nf2 Ne4 29 Qf3 Bg4 30 Qxg4 Qc1+ 31 Nd1 Rxd1+ 32 Bxd1 Qd2+ 33 Kf1 Qf2 mate. Hans Renette (Bierbeek, Belgium) and Fabrizio Zavatarelli (Milan, Italy) provide two games between H.F.L. 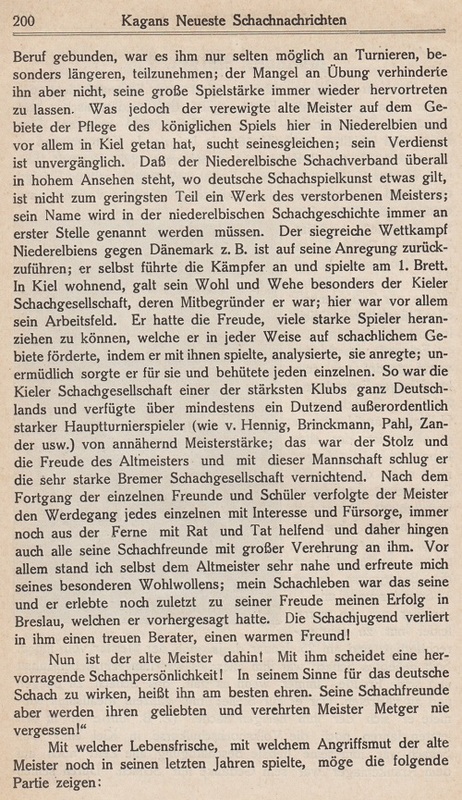 Meyer and P. Hirschfeld which are not in their book Neumann, Hirschfeld and Suhle (Jefferson, 2018). 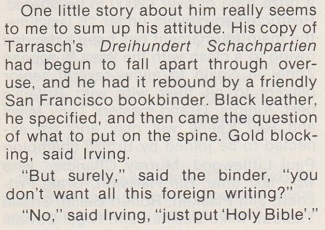 Wanted: examples of particularly negative chess obituaries, whatever the level of justification. Based on a very short browse, below are some extracts from Chess Problems, Play and Personalities by Barry Martin (Beddington, 2018). Similarly, pages 194-195 (the section on Leonard Barden) are little more than pickings from his Wikipedia entry. 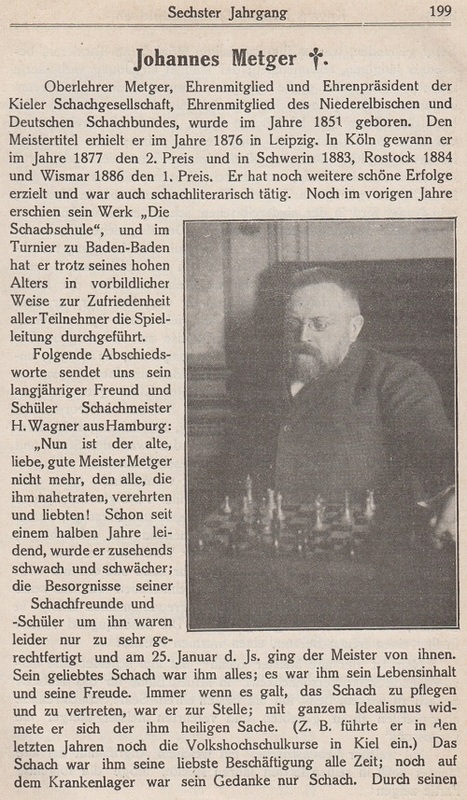 ‘... taught himself the game of chess at the age of 13’. 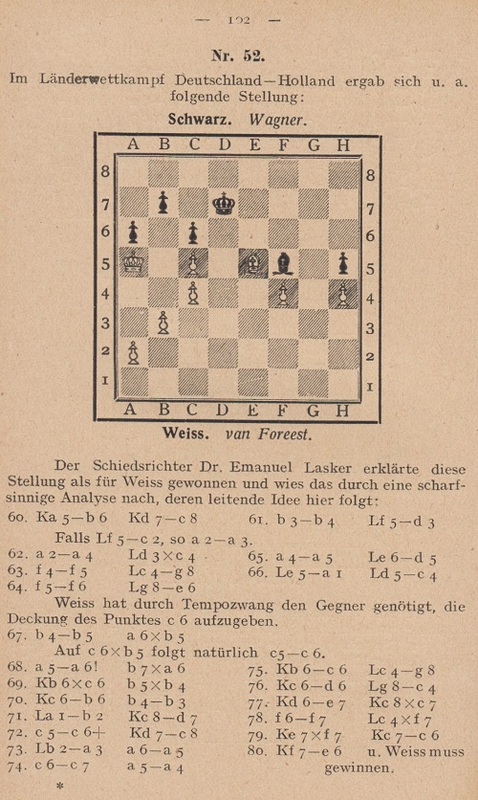 This position from a game between A. van Foreest and H. Wagner in an international team match was analyzed by Emanuel Lasker as a win for White. 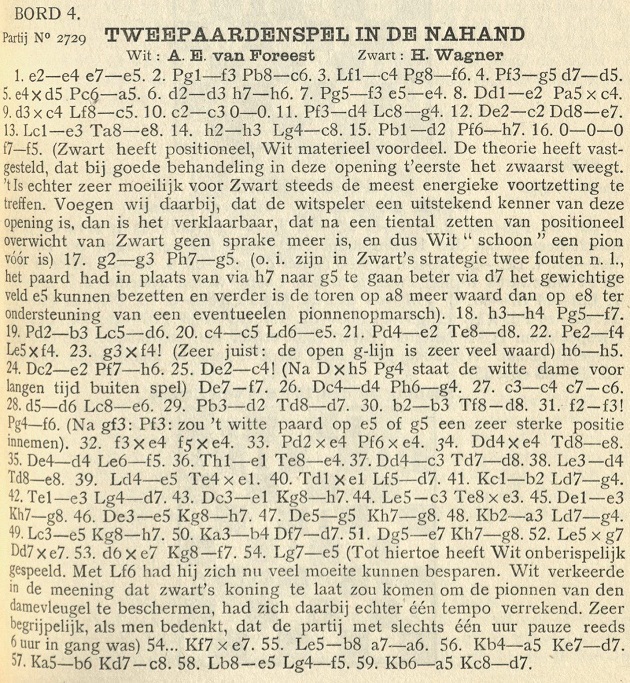 The pages from Deutsches Wochenschach and Tijdschrift van den Nederlandschen Schaakbond are reproduced courtesy of the Cleveland Public Library. The full game: 1 e4 e5 2 Nf3 Nc6 3 Bc4 Nf6 4 Ng5 d5 5 exd5 Na5 6 d3 h6 7 Nf3 e4 8 Qe2 Nxc4 9 dxc4 Bc5 10 c3 O-O 11 Nd4 Bg4 12 Qc2 Qe7 13 Be3 Rae8 14 h3 Bc8 15 Nd2 Nh7 16 O-O-O f5 17 g3 Ng5 18 h4 Nf7 19 N2b3 Bd6 20 c5 Be5 21 Ne2 Rd8 22 Nf4 Bxf4 23 gxf4 h5 24 Qe2 Nh6 25 Qc4 Qf7 26 Qd4 Ng4 27 c4 c6 28 d6 Be6 29 Nd2 Rd7 30 b3 Rfd8 31 f3 Nf6 32 fxe4 fxe4 33 Nxe4 Nxe4 34 Qxe4 Re8 35 Qd4 Bf5 36 Rhe1 Re4 37 Qc3 Rd8 38 Bd4 Rde8 39 Be5 Rxe1 40 Rxe1 Bd7 41 Kb2 Bg4 42 Re3 Bd7 43 Qe1 Kh7 44 Bc3 Rxe3 45 Qxe3 Kg8 46 Qe5 Kh7 47 Qg5 Kg8 48 Ka3 Bg4 49 Be5 Kh7 50 Kb4 Qd7 51 Qe7 Kg8 52 Bxg7 Qxe7 53 dxe7 Kf7 54 Be5 Kxe7 55 Bb8 a6 56 Ka5 Kd7 57 Kb6 Kc8 58 Be5 Bf5 59 Ka5 Kd7. Adjudicated a win for White. 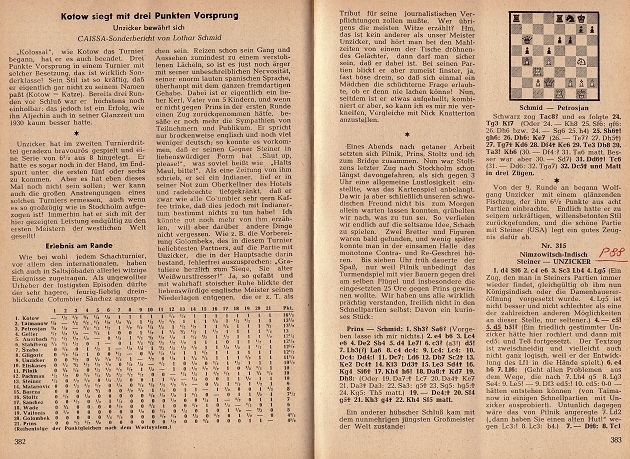 ‘The analysis in the Schachjahrbuch and in the Dutch magazine differ, and it is possible that Lasker gave no concrete lines himself, but showed the general winning plan, which different editors then put into different lines. Although both sets of analysis lead to a win, the best result comes from combining the two. 66 b5 axb5 leads nowhere, but now Black is in Zugzwang. 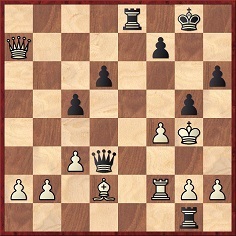 After the move in the Schachjahrbuch (66 Ba1), Black could defend more tenaciously with 66...Kb8, forcing White to go for the Zugzwang with, for instance, 67 Bb2 Kc8 68 Be5. 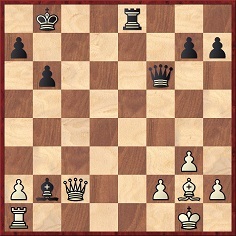 67...cxb5 68 c6 bxc6 69 Kxa6 c5 70 Kb6 also wins for White. The try 67...Kd7!? 68 bxc6+ bxc6 leads to a technically lost position after 69 f7 Ke7 70 Kxc6 Bxf7 71 Kb6 Kd7 72 c6+! (but not 72 Kxa6?? 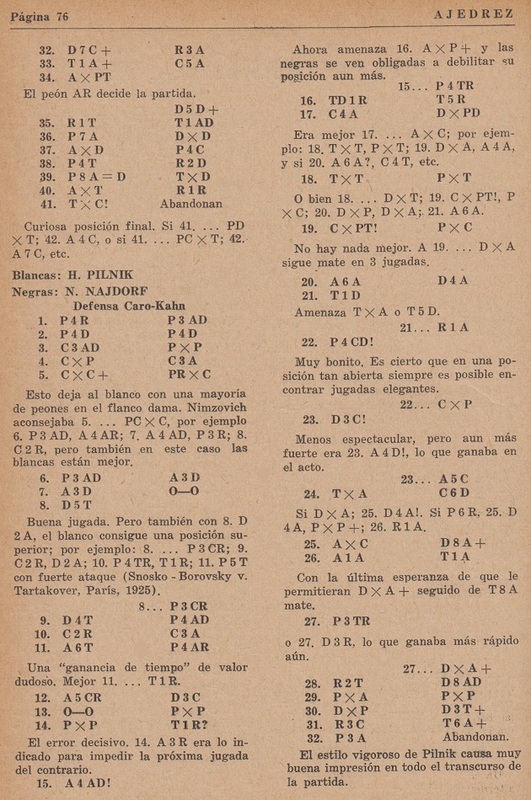 Kc6). 68 a6 bxa6 69 Kxc6 b4 70 Kd6! 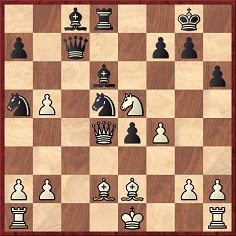 White does not need the king manoeuvre to b6 or b5 (which is given in both sets of analysis, although at different points). Against the best defence, this would simply lose time. The king belongs on d6. The important last point. If White cashes in too early with 75 Ke7? Kxc7 76 f7 Bxf7 77 Kxf7, Black has 77...Kd6! and saves the game. 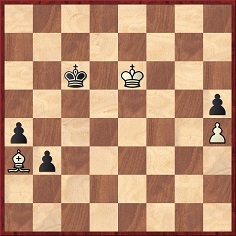 Thanks to 75 Ba3, Black does not have the square d6 for the king and must lose. 1 e4 e5 2 f4 exf4 3 Nf3 Nf6 4 e5 Nh5 5 d4 d5 6 Be2 Rg8 7 O-O g5 8 h3 Ng3 9 Re1 Be6 10 Nh2 h5 11 Bxh5 Nc6 12 c3 Qd7 13 Bg4 O-O-O 14 Bxe6 fxe6 15 Ng4 Rh8 16 Nf6 Qg7 17 Qg4 Nf5 18 Nd2 Rh4 19 Qe2 Ng3 20 Qd1 Nxe5 21 dxe5 g4 22 Nxg4 Rxg4 23 Nf3 Bc5+ 24 Nd4 Rh4 25 Kh2 Rxh3+ 26 gxh3 Nf1+ 27 Kh1 Qg3 28 Bxf4 Qxh3+ 29 Kg1 Rg8+ 30 Kf2 Rg2+ (30...Qg2 mate.) 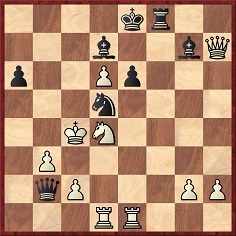 31 Kxf1 Qh1 mate. 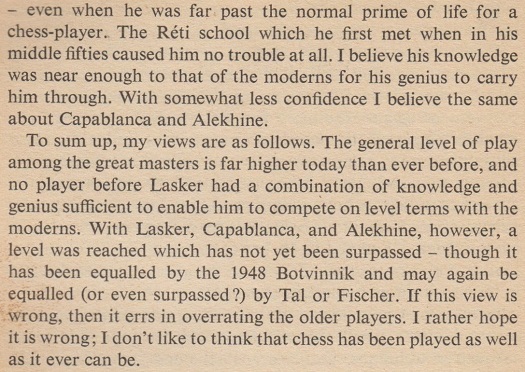 That was Fred Reinfeld’s introduction to Pilnik v Najdorf, Mar del Plata, 24 March 1942 on page 202 of Great Brilliancy Prize Games of the Chess Masters (New York, 1961). 1 e4 c6 2 d4 d5 3 Nc3 dxe4 4 Nxe4 Nf6 5 Nxf6+ exf6 6 c3 Bd6 7 Bd3 O-O 8 Qh5 g6 9 Qh4 c5 10 Ne2 Nc6 11 Bh6 f5 12 Bg5 Qb6 13 O-O cxd4 14 cxd4 Re8 15 Bc4 h5 16 Rae1 Re4 17 Nf4 Qxd4 18 Rxe4 fxe4 19 Nxh5 gxh5 20 Bf6 Qc5 21 Rd1 Kf8 22 b4 Nxb4 23 Qg3 Bg4 24 Rxd6 Nd3 25 Bxd3 Qc1+ 26 Bf1 Rc8 27 h3 Qxf1+ 28 Kh2 Qc1 29 hxg4 hxg4 30 Qxg4 Qh6+ 31 Kg3 Rc3+ 32 f3 Resigns. 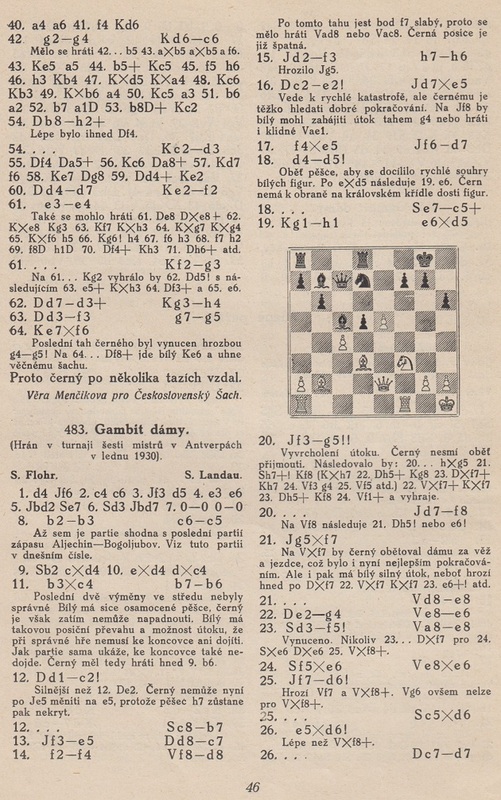 The game was also annotated on pages 122-126 of The Art of Attack in Chess by V. Vuković (Oxford, 1965). See too pages 116-120 of the algebraic edition edited by John Nunn (London, 1998). 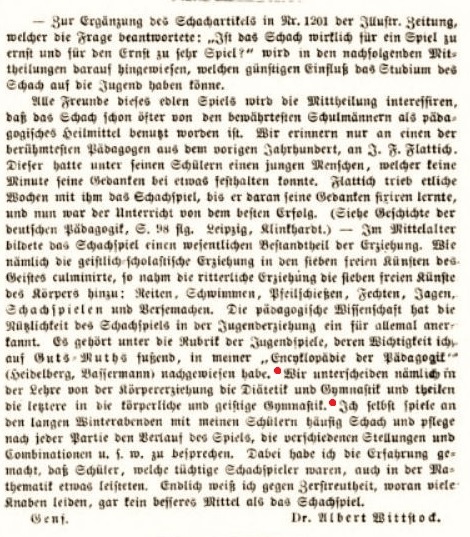 Mr Kalendovský commented that the above position broadly resembled the one in Gutmayer’s book. 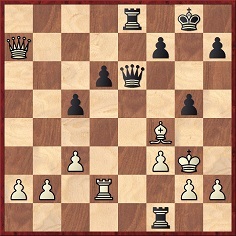 26...Rg1 (threat: 27...Qe1 mate) 27 Kg3 h6 28 Rf2 (28 Rxd6 Qe2) 28...g5 29 Bd2 Qc4 (intending 30...Qh4 mate) 30 f4 Qd3+ 31 Kg4. For further discussion of the matter, see C.N. 3300 on pages 292-293 of Chess Facts and Fables. 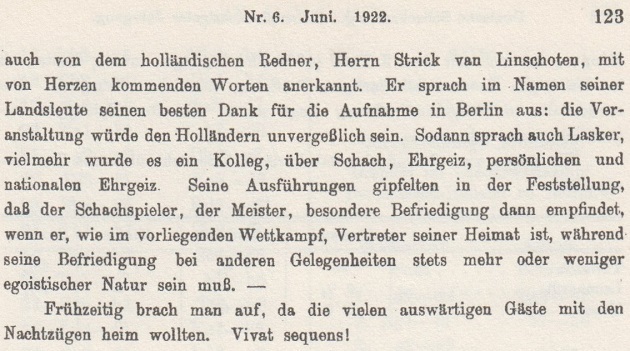 In particular, Peter Anderberg (Harmstorf, Germany) noted that the line created by Stephen Berry was pointed out by C. Sander on page 170 of the June 1914 Deutsche Schachzeitung. 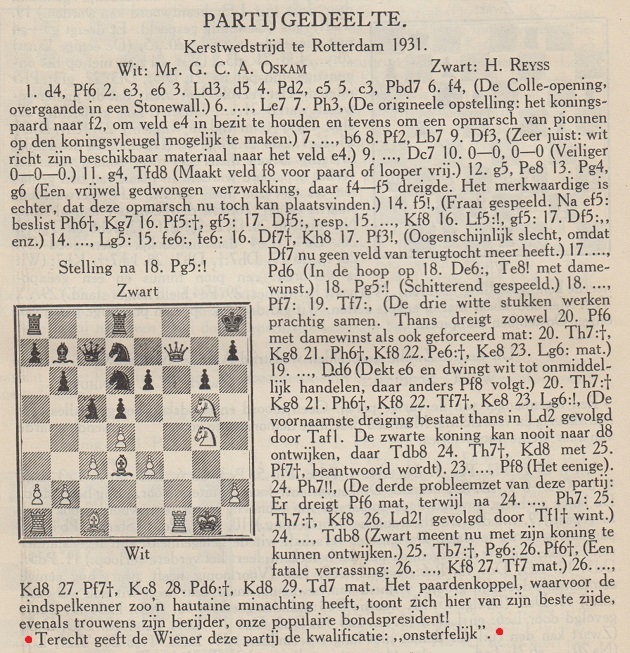 The remark was in large letters at the top of page 805 of the December 1975 Chess Life & Review, in a tribute to Keres which claimed to show the last photograph of him (with Euwe in Amsterdam on 31 May 1975). On the Internet the quote is customarily, if not exclusively, found with ‘desired’, and not ‘desired-for’. 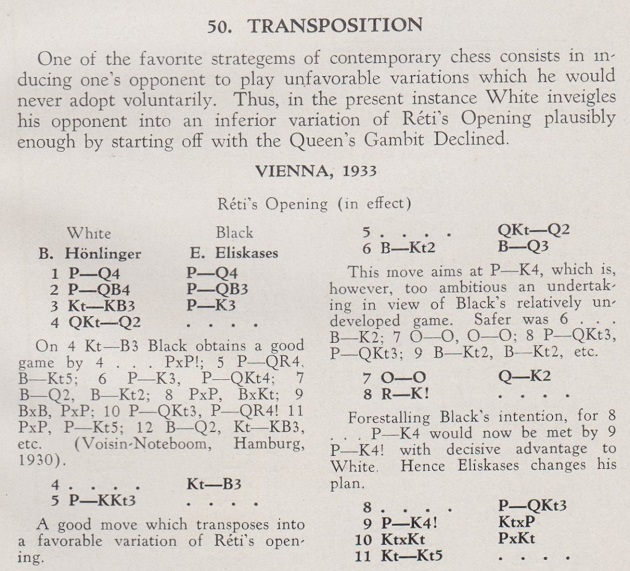 That shorter version is on page 5 of John Nunn’s edition of the book, Paul Keres: The Road to the Top (London, 1996). The letter was called ‘excellent’ by C.H.O’D. 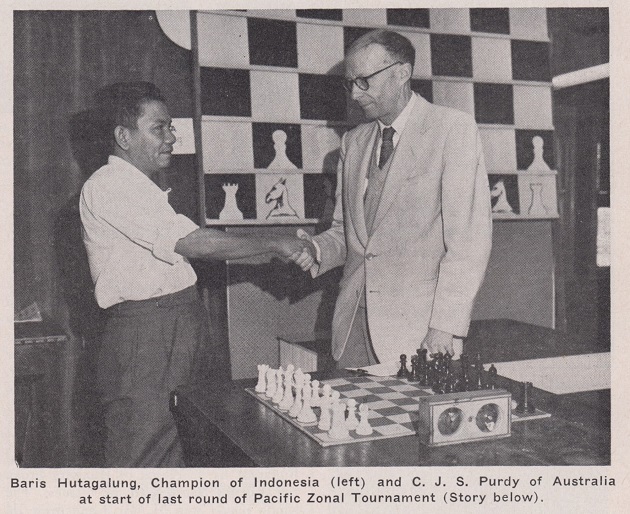 Alexander on page 32 of the mid-October 1963 issue of CHESS. 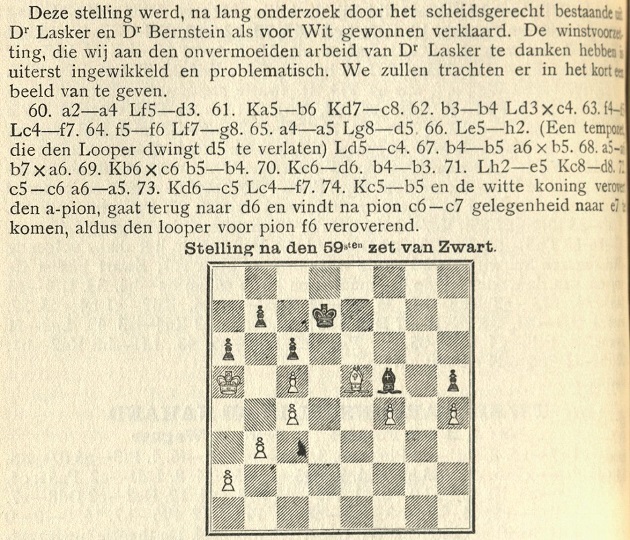 As mentioned on page 259 of Chess Explorations and in C.N. 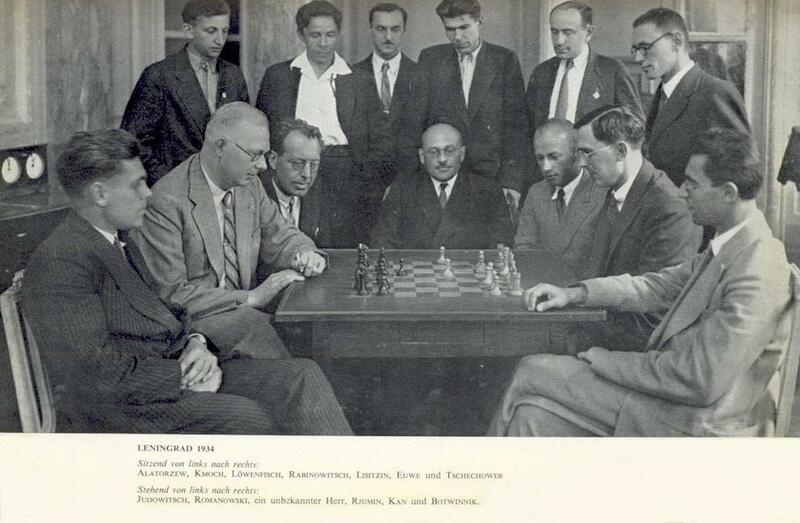 1943 (see pages 202-203 of Kings, Commoners and Knaves), a claim emerged in the early 1990s that Samuel Reshevsky was born in 1909 and not, as commonly accepted, in 1911. 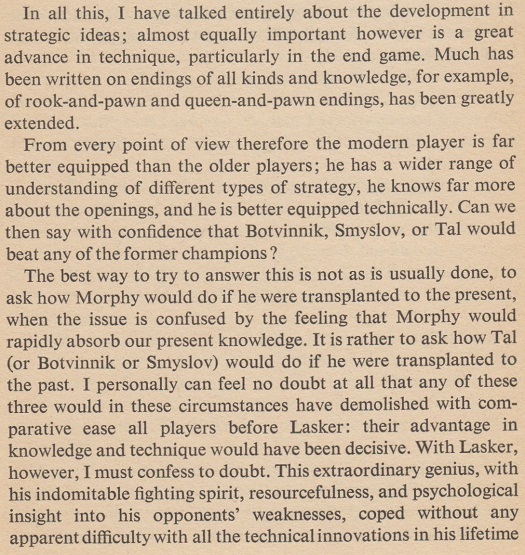 The matter is discussed by Bruce Monson in an article about Reshevsky on pages 46-55 of the 1/2019 New in Chess. See too pages 317-318 and 510-511 of Albert Beauregard Hodges by John S. Hilbert and Peter P. Lahde (Jefferson, 2008). 28 Rxe6+ Bxe6 29 Nxe6 Ne3+ 30 Kc5 Qc3+ 31 Kb6 Nxd1 32 Nxg7+ Kd7 33 Ne8+ Ke6 34 Qe7+ Kd5 35 Nc7+ Kd4 36 Qg7+ Ke4 37 Qxf8 Qb4+ 38 Ka7 Qc5+ 39 Kb7 Resigns. 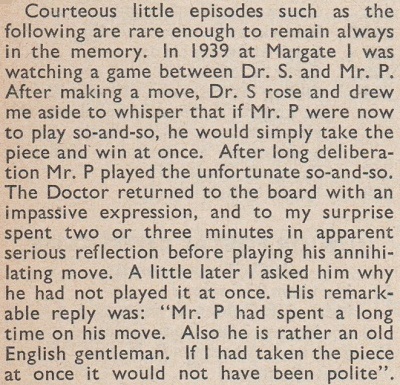 ‘A real English-style game’ (M. Botvinnik). 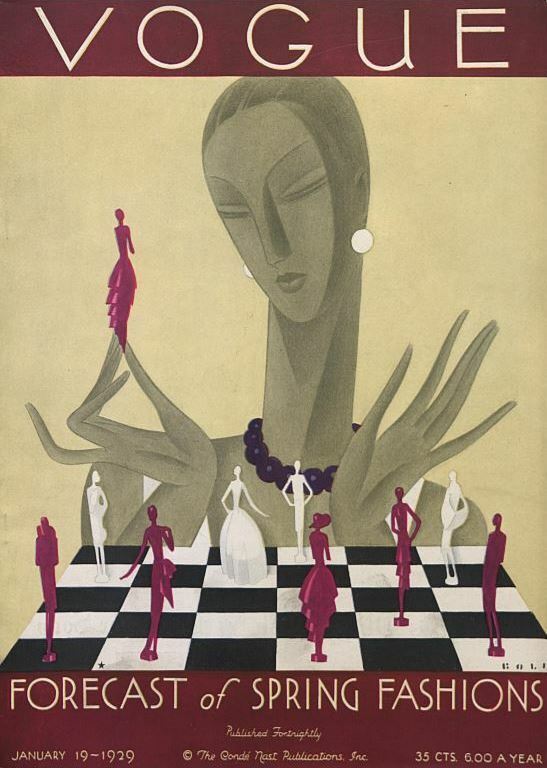 ‘Littlewood plays the best bad chess I have ever seen.’ (L. Lindheimer). ‘14 f5. The whole line appears to be dubious for White. 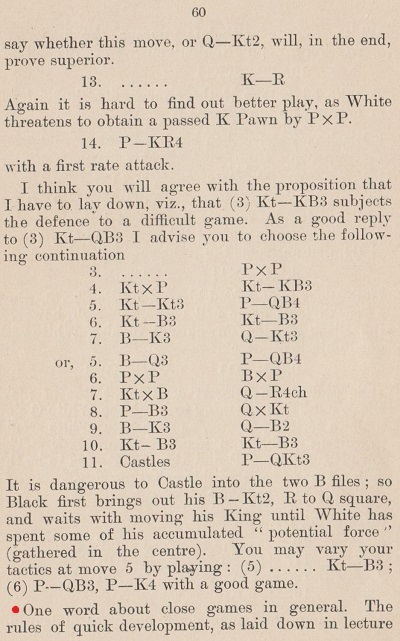 14 Bc4 was tried in some later grandmaster games, with modest results. 20...Rxb3. 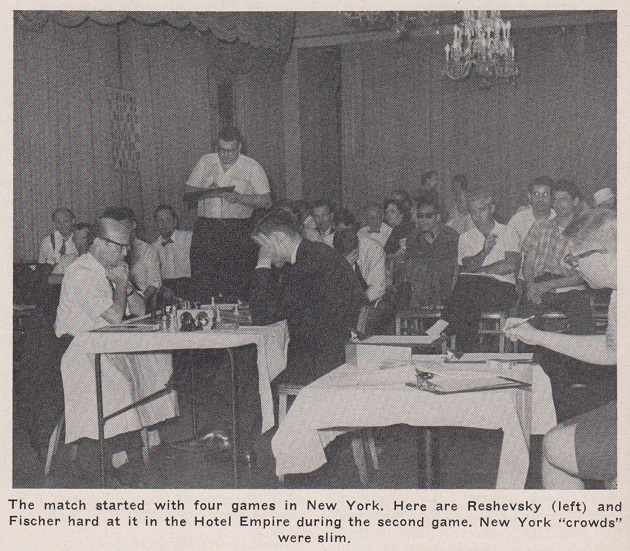 20...Qf5 (Burger-Mednis, New York, 1969) is a good alternative. 24 Rhe1. A new move. 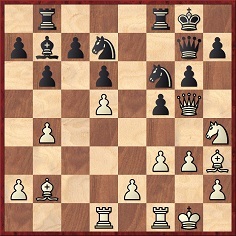 24 Qh5+ Kd8 25 Qh4+ Ke8 26 Qh5+ Rf7 had led to a quick defeat for White in Larsen-Panno, Mar del Plata, 1958. 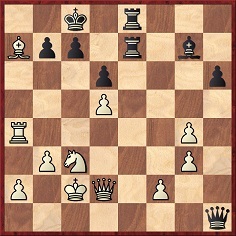 24 Ke2 had been tried in another earlier game, Holaszek-Minaya Molano, The Hague, 1961; after 24...Nb4 Black still enjoys the better game. 24 Qe4 may be relatively best. 24...Bc3+. An even stronger line is 24...Qc3+! 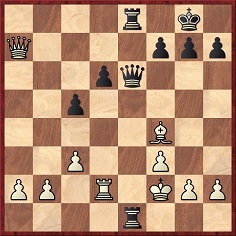 25 Ke2 Ne5!, as 26 Qxg7 loses to 26...Bb5+ 27 Kf2 Nd3+ 28 Rxd3 Qxg7. 25 Kd3?! 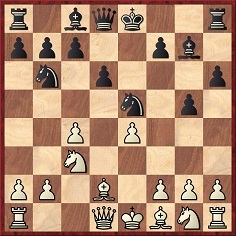 Objectively, 25 Ke2 was the lesser evil, although after 25...e5 (26 Rd5) or simply 25...Bxe1 Black keeps the advantage. 25...Nb4+. 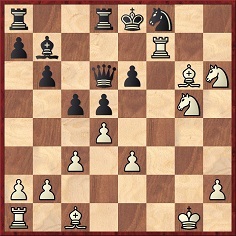 The mundane 25...Bxe1 26 Rxe1 Qa3 should win quite easily as White loses the d6 pawn. 26...Bg7? The third inaccuracy in a row and quite a significant one. Firstly, 26...Rf4+ is stronger. Retreating the knight to c6 also keeps a clear advantage. 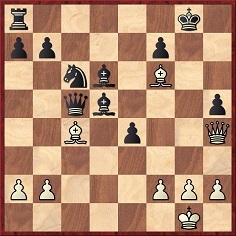 After the game move, White could have forced a draw by perpetual check with 27 Qh5+! Kd8 28 Qa5+ Ke8 29 Qh5+ since 29... Rf7 30 Ne5 is plainly bad. 27...Nd5? Here the unusual 27...Na2! with the same threat was much stronger. 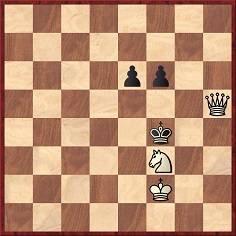 The point is that unlike in the game the knight is not attacked by the king. After 28 Re3 Bb5+ 29 Nxb5 axb5+ 30 Kd3 (30 Kxb5 Kd7!) 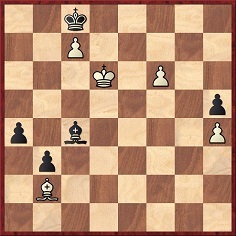 30...Qd4+ 31 Ke2 Nc3+ 32 Rxc3 Qxc3 33 d7+ Kd8 Black ought to win. 28 Rxe6+? 28 Qg6+ Kd8 29 Nxe6+ is indeed better, but it is still White who must be glad that after 29...Bxe6 30 Rxe6 Nb6+ 31 Kd3 Qd4+ 32 Ke2 Qf2+ 33 Kd3 Black has no more than perpetual check. 30 Kc5. 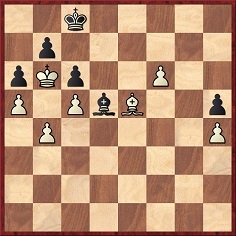 White is still lost. After 30 Kb4 Black would need to find 30...Qc3+ 31 Ka4 Rf4+!! 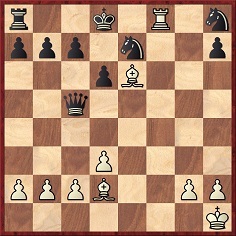 32 Nxf4 Qc6+ 33 Ka3 Qc5+ 34 b4 Nxc2+ with a mating attack (35 Ka2 Qc4+). 30...Qc3+? The turning point. 30...Qe5+ 31 Kb6 Qxe6 does indeed win easily. 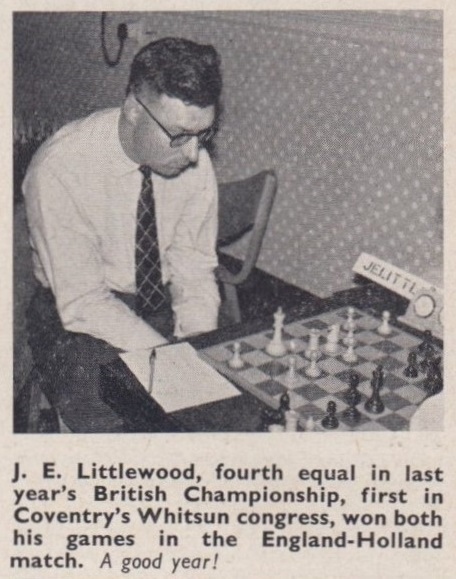 Leonard Barden’s obituary of John Littlewood (Guardian, 26 September 2009) described him as ‘the finest UK attacking player of his generation’. 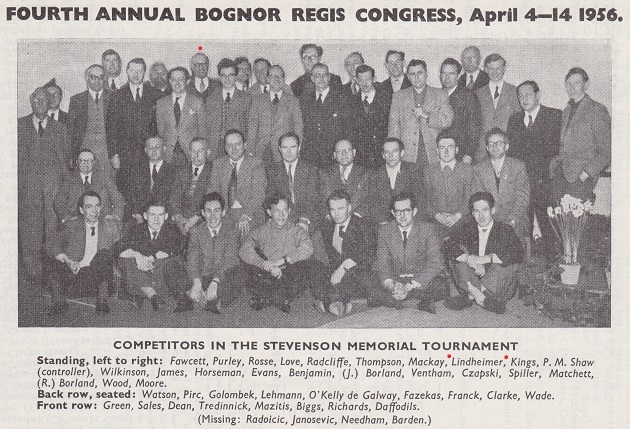 On page 72 of the March 1962 Chess Review Bruce Hayden reported that on the evening of 28 December 1961 Littlewood was referred to by visiting masters as ‘der kleine Tal’ after his spectacular, though unsuccessful, attack against Botvinnik in the Hastings tournament. 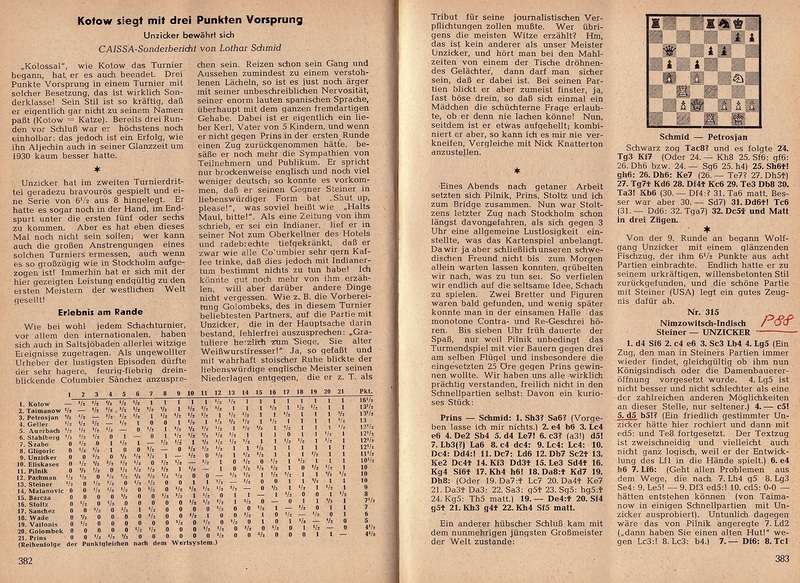 The world champion annotated the game on pages 129-130 of CHESS, 19 January 1962. 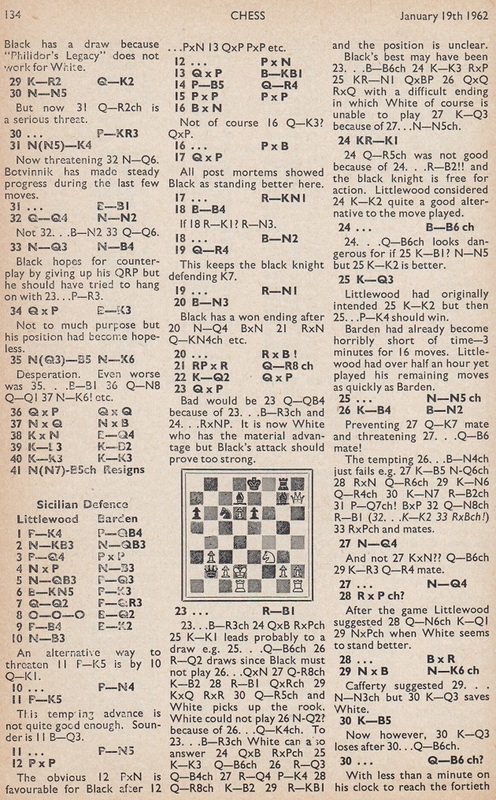 CHESS, 25 November 1960, page 93. 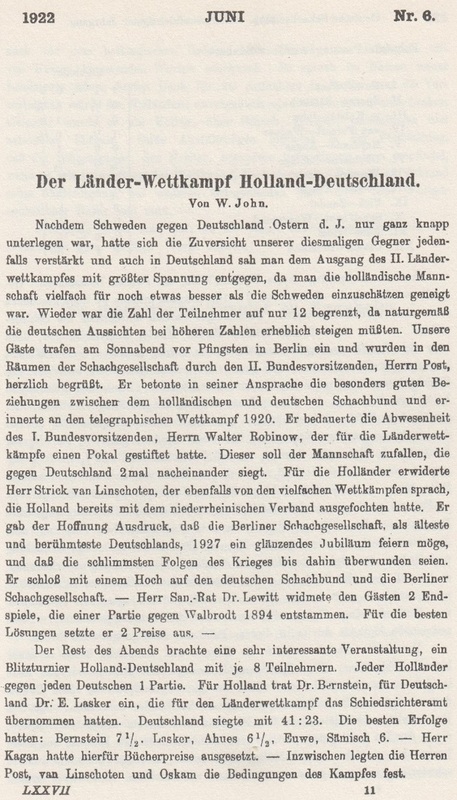 Information is sought on L. Lindheimer, who was mentioned in the previous item. What is known about any such remark? 24 Rf1 g6 25 Qb3 Rd8 26 Qe3 Qf5 27 Qe7 Rd7 28 Qe8+ Kc7 29 Qa8 Bd4 30 Qxa7+ Kd8 31 Qb8+ Ke7 32 Bc6 Be5 33 Bxd7 Bxb8 34 Bxf5 gxf5 35 Rd1 Bd6 36 Rd4 Bc5 37 Rh4 Resigns. 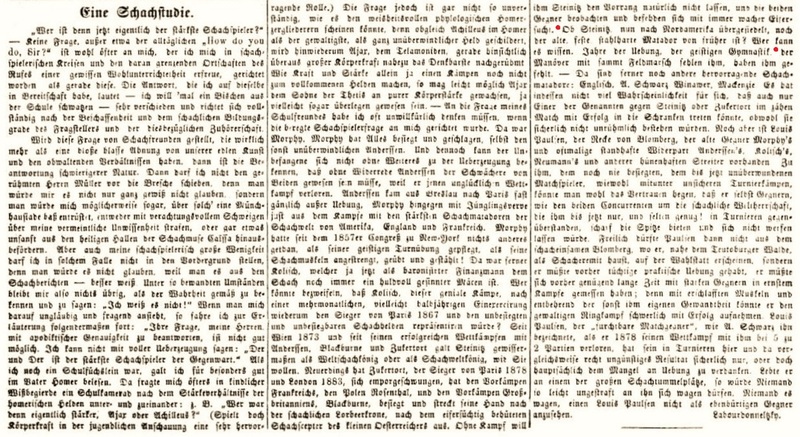 See too pages 88-90 of the March 1933 Deutsche Schachzeitung, which reproduced Hans Kmoch’s annotations from the Neues Wiener Journal. 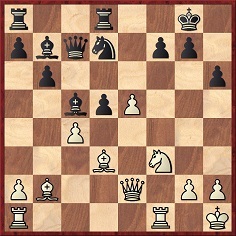 24 Nh7 Rdb8 25 Rxb7+ Nxg6 26 Nf6+ Kd8 27 Nf7+ Kc8 28 Nxd6+ Kd8 29 Rd7 mate. 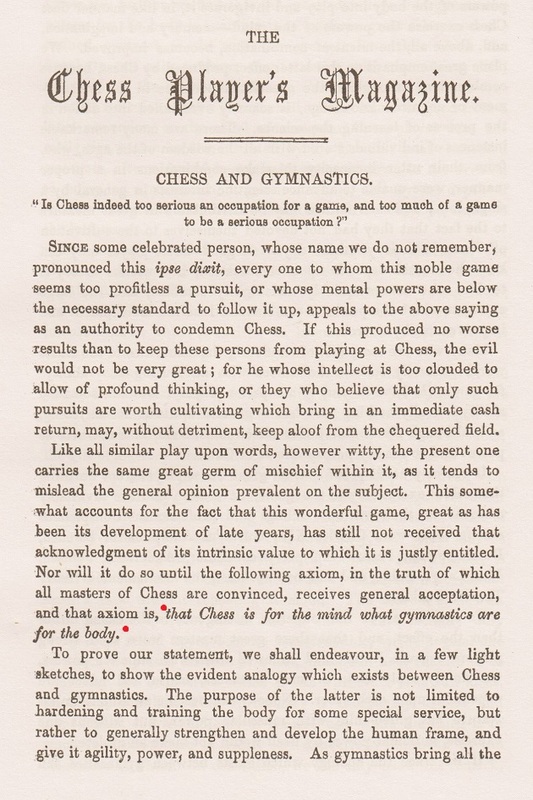 The game was also annotated by J.H. Blake on pages 223-224 of the May 1932 BCM.